Shanghai, the pearl of the East. I spent about 8 days in Shanghai in total on my recent trip, sightseeing like crazy and walking as much as I could to explore and take in the city. I have heard a lot about Shanghai. I mean who hasn’t? It is literally steamrolling its way into massive development. It will possibly become the city of the future and heck it does feel like it, but is this really a place for me? Yeah yeah. I know. I’m exaggerating. But it honestly did feel like it sometimes. Unfortunately I have to compare it with Beijing ‘cause that’s my only basis I have of Chinese cities (besides Xiamen… more on that later! ), but Beijing just felt a lot more cultural to me. It had a more underlying creative buzz about it. Not only that, but to me Beijing’s history was a lot more apparent within the city. Shanghai just feels like a city and often at times a very European city at that (go walk the promenade at The Bund and you’ll see). It just doesn’t feel like China to me. 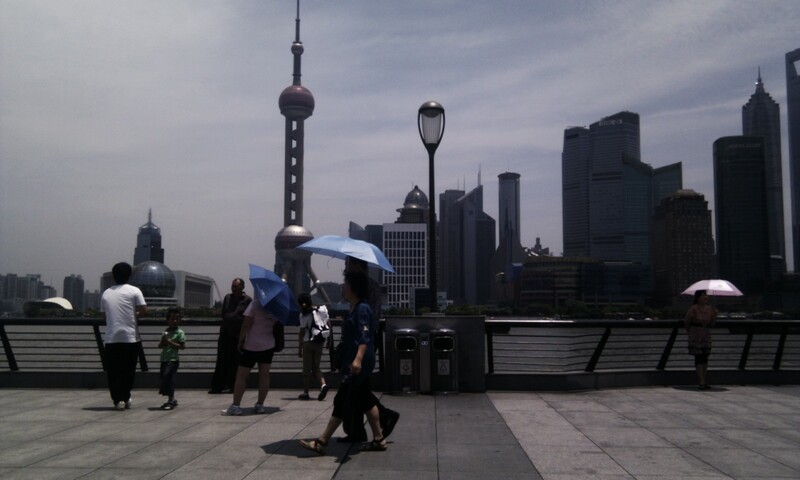 However, in terms of cleanliness and ease of travel and being more Western, definitely makes Shanghai a win. I feel like you can literally get and achieve anything you want in Shanghai. It just so big and so full of opportunity there. One cannot help but be impressed with Shanghai’s growth and importance in China and the world. I went to the Urban Planning Exhibition Center to find out a bit more about Shanghai’s history. The growth is phenomenal! My jaw was on the floor the whole time. In the end Shanghai was a blast and definitely an eye opener into the biggest city in China. One day I won’t mind working there, but staying there long term I’d reconsider. To sum it up: Shanghai sometimes makes me feel a bit uncomfortable in its sheer expanse and claustrophobic skyscrapers, but if there is a ever place to find a comfortable place to stay, you’ll find your groove in Shanghai.